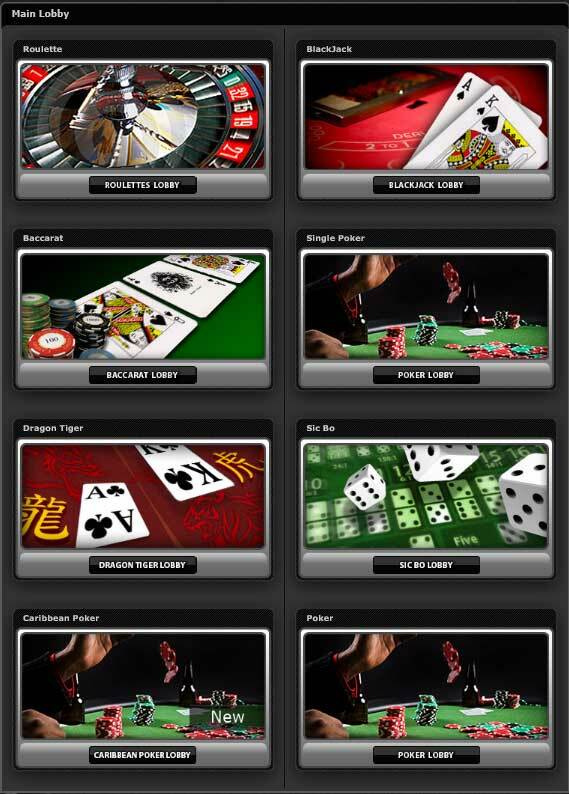 Xpro Gaming have been around since 2005 developing a full range of live casino games. They are based in Bratislava, Slovakia and have offices in Moldova, Bulgaria and Israel. Their primary target market is Asia but they are beginning to expand into other territories including Europe and South Africa. They have one of the most comprehensive sets of live casino games, but like a lot of their peers they haven’t quite got all of the options you’d expect on some of the live games. Two small things stand out for me, firstly they only provide the Bet Behind side bet on Blackjack and secondly they do not offer La Partage on Roulette. However where they score highly in my book is their breadth of games. Baccarat ( this comes in three types, Baccarat Super 6, Baccarat and Dragon Tiger). Texas Holdem (or Casino Holdem) – This is multi-player, single hand game. The have a multi hand version version but that’s only available on Private tables. Caribbean Poker – Multi player Caribbean Poker played against the dealers hand. Sic Bo – Classic Asian dice game. Three of the games, Baccarat, Roulette and Dragon Tiger are available on Android mobile devices. IOS devices cannot use the mobile live casino! 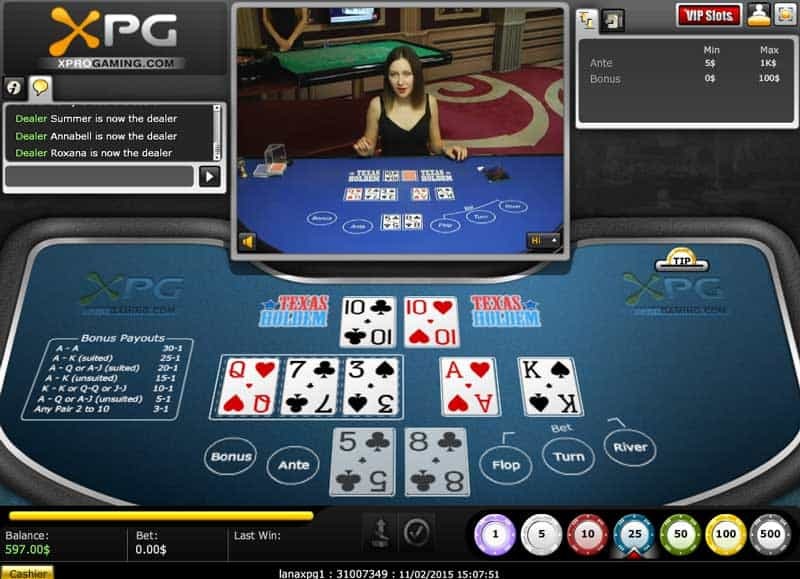 The XproGaming Live Casino studios are located in the European countries of Moldova and Bulgaria, which is a departure from the other live casino software providers who tend to favour Estonia and Latvia for their studio locations. 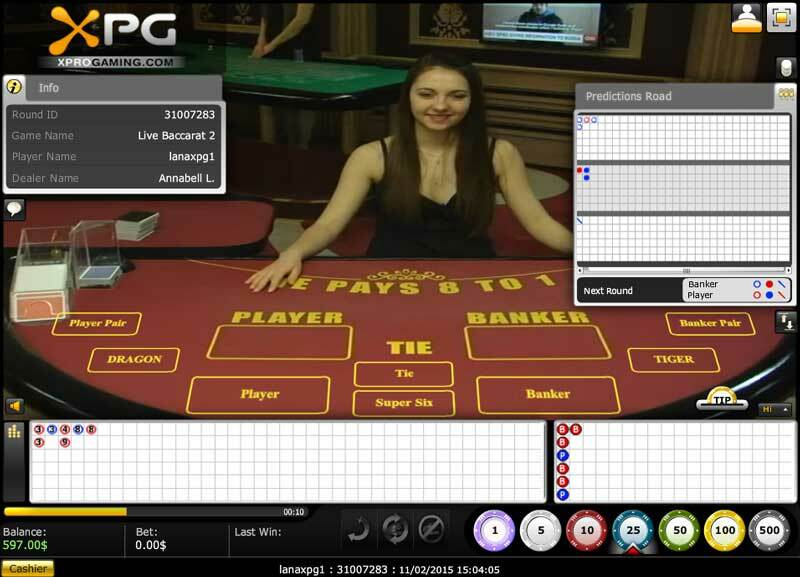 XproGaming can offer prospective clients a whole range of services to support the adoption of Live Casino. State of the art Live Casino Studios in Moldova and Bulgaria that are fitted out with the latest gaming equipment and streaming technologies. A full back office management system to enable clients to manage their players, view statistics and promote their live casino. Private tables and individual branding is available with dedicated dealers, branded tables, cards and clothing as options. Download or non download PC client. The software interface can support multi language and currency, with English, Italian, Spanish, French, Hungarian, Turkish, Greek and Asian languages currently supported. A range of stand alone Kiosk systems are also available. These can be located as stand alone units in shops , casinos etc so people can play against online live dealers if they are not located at a PC or have a mobile device. I guess this will appeal more to clients who have retail outlets or land based casinos where they can place the machines. 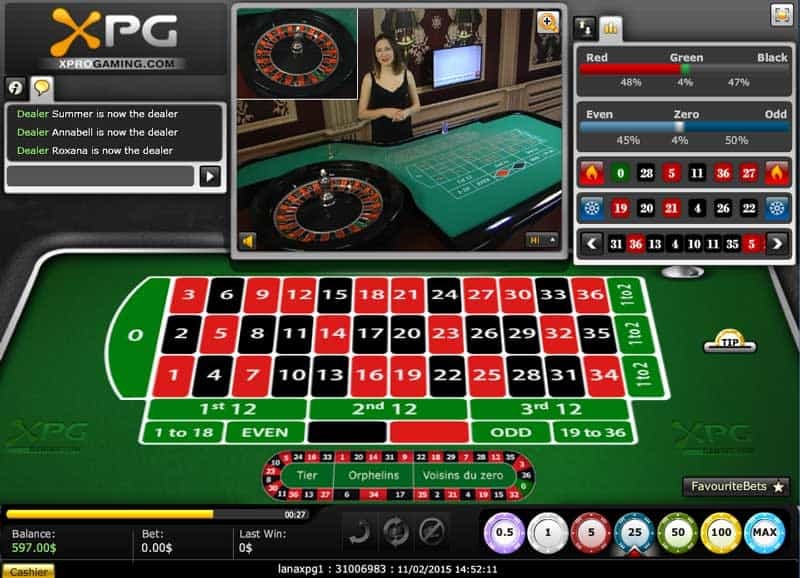 A White Label product is available that will allow customers to setup their own live casino with minimal effort on their part. This includes the development of a website , connection to the streaming services and full back office support. Baccarat 20 – 200 None To see the latest Live Casino promotions. Click Here. Baccarat 5 – 15k None No Live Casino Bonus. The playing interface for all of the games comes in two modes. 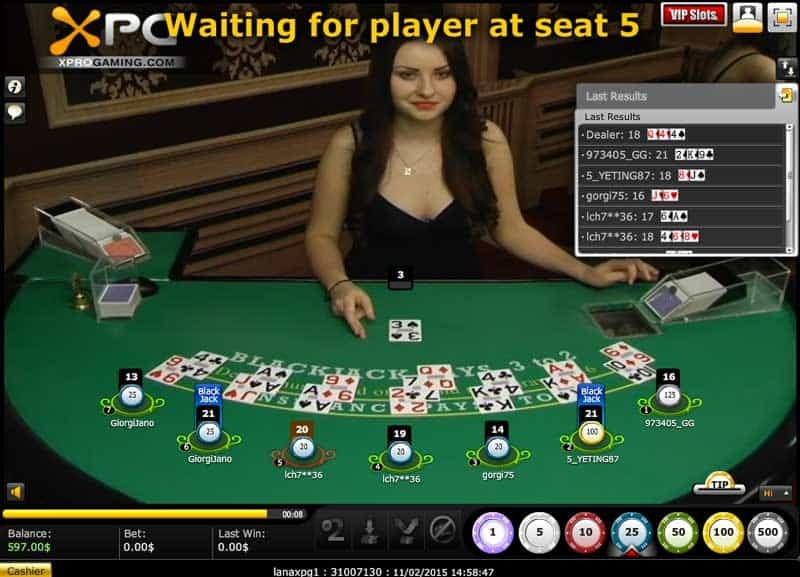 Full screen, where you just see the dealer and the table and mixed mode where the dealer and table are super-imposed over a computer generated image of the table and cards. Play multi tables but not in the same viewing window. This is standard 7 Seat Blackjack played with 6 decks. You can sit at multiple seats. Bet Behind and Insurance side bets can be made. French bets are available with a racetrack to help you place them. You can save favourite bets. Camera close ups of the wheel when it has been spun. On this table you can also player Dragon / Tiger. Full range of road maps can be displayed. 珠盘/珠盤 (Bead Road) , 大路 (Big Road), 大眼仔 (Big Eye Boy Road), 小路 (Small Road) & 曱甴路 (Cockroach Road). If banker win with a 6 the payout is 50% of the wager. No commission is charged on wins. It’s a Multi Player game, i.e. an unlimited number of players can play. There are the classic Road maps available, 珠盘/珠盤 (Bead Road) , 大路 (Big Road), 大眼仔 (Big Eye Boy Road), 小路 (Small Road) & 曱甴路 (Cockroach Road). You can choose whether to display them or not. Side bets of Pairs, Big & Small and Super 6 can be played alongside each hand. Side bets of Big & Small and Suits can be played along side each hand. 50% bet returned if the result is a Tie and the player has bet on Dragon or Tiger. One card dealt, highest wins! Game history of the last 9 rolls are displayed. Dealer displays one card before the betting round. One hand, multi player Casino Holdem. One deck is used, shuffled after each hand. Bet on Flop, Turn and River. 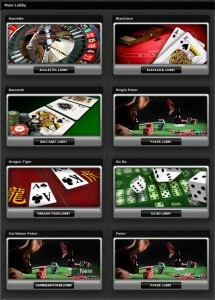 I’ve been impressed with the live casino offering from Xpro Gaming. They are not a supplier that I was particularly familiar with, but I’ve played all the games and here is my feedback. Unfortunately none of the games come with any online help in the playing interface, so if you’re not sure how to play or even what the rules of the game are you will have to rely on the operator providing that information somewhere else on their sites. I found making bets a bit fiddly. You have to confirm each bet and funnily enough you can run out of time if you want to place multiple bets on the blackjack tables. You get 8 -10 seconds of betting time which is a bit quick!. There is a re-bet option so you can repeat the last bets but you still need to confirm them. I use Google Chrome a lot and I found issues with it. It’s not actually listed as a compatible browser, so you’ll need to use Explorer, Firefox or Safari to be on the safe side. I very much enjoyed the Xpro version of Texas Holdem and having the opportunity to play Caribbean Poker which is a game that none of the other major software suppliers carry. If you want a full range of blackjack side bets then you’ll be unlucky, but you can find them at Visionary iGaming and Evolution Gaming live casinos. As a player if you see an Xpro Live casino it’s certainly worth playing at. For casinos looking for a Live Casino partner then I’d recommend that you have a talk to them. Their product is good, well established and they say they have very competitive terms.